Createspace Independent Publishing Platform, 9781503271159, 176pp. Private detective Sydney Brennan has reservations when wealthy businessman Bran Woodford asks her to deliver a Florida background check-in person-to his upstate New York home. A wise woman limits contact with her ex-boyfriend, no matter how big his bank account. But, as usual, when Sydney's curiosity is piqued, wisdom flies out the window. Within 24 hours of Sydney's arrival, there is a murder on the Woodford estate, and Bran quickly becomes the prime suspect. Is the victim's shady past to blame, or does the motive for murder lie within the estate's manicured grounds? 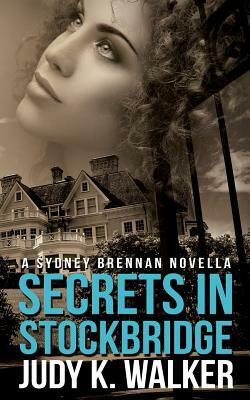 It's up to Sydney to find the murderer, before the Secrets in Stockbridge can claim their next victim. A recovering criminal attorney with a Master's in Tropical Conservation Biology, Judy K. Walker writes from her home in Hawaii, where she is surrounded by husband, dog, cat, and assorted geckos. If she's not tapping away at her computer, she hopes she's in her snorkel fins.